Today I’m going to keep this intro short because, well the pictures and ideas for this week’s board are just too darn pretty. You need to see them for yourself. 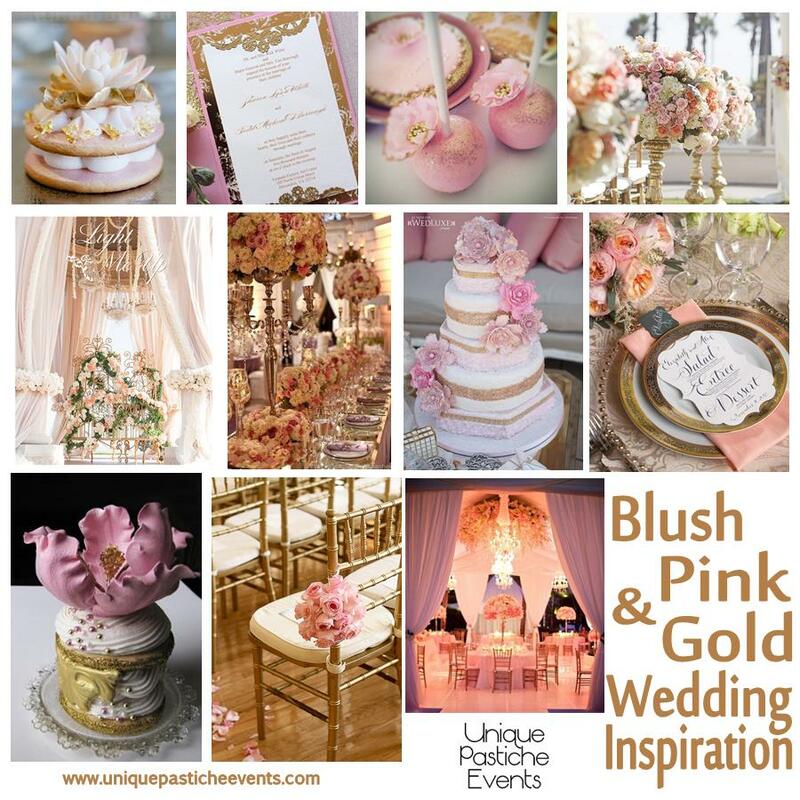 This wedding inspiration boards is all things blush pink and gold. There are lots of floral and gold accents, arguably, the girly-est of girly weddings. Wedding Ceremony (Drapes, Chandeliers and Floral) – seen on White Lilac Inc.
Would you rather have a super girly wedding, a more “neutral” wedding, or a really themed wedding?